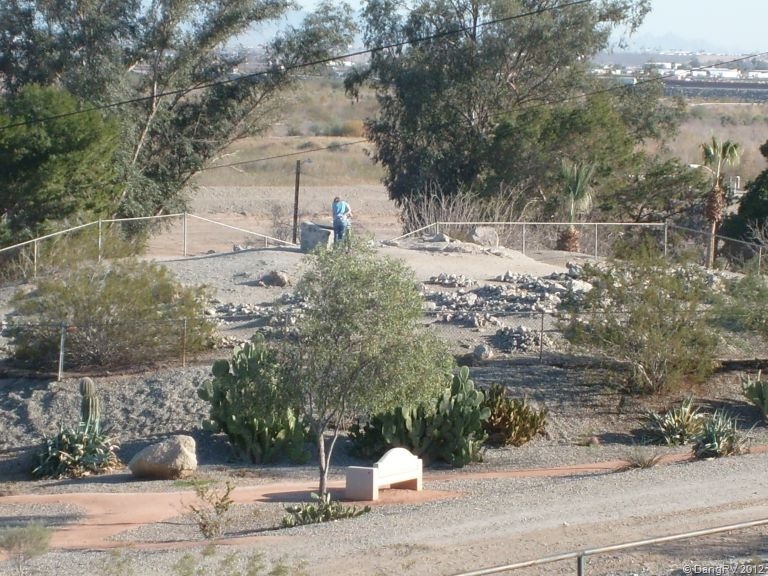 Overlooking the city of Yuma, AZ up on Prison Hill is the first territorial prison for Arizona. It was built in 1875, received it’s first inmates in July of 1876, and operated as a prison until forced to close due to overcrowding in September, 1909. 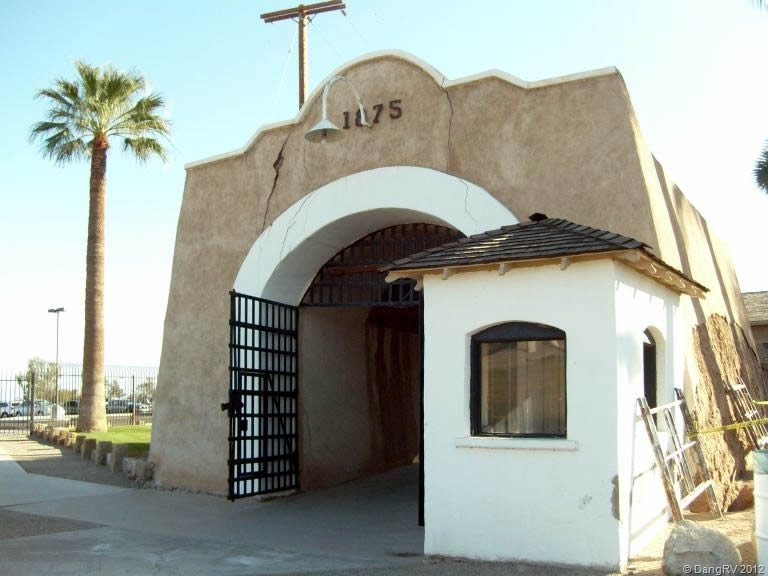 From 1910-1914 it was the home of Yuma Union High School. During the Depression, it fell into disrepair and some of the down and out found shelter there. 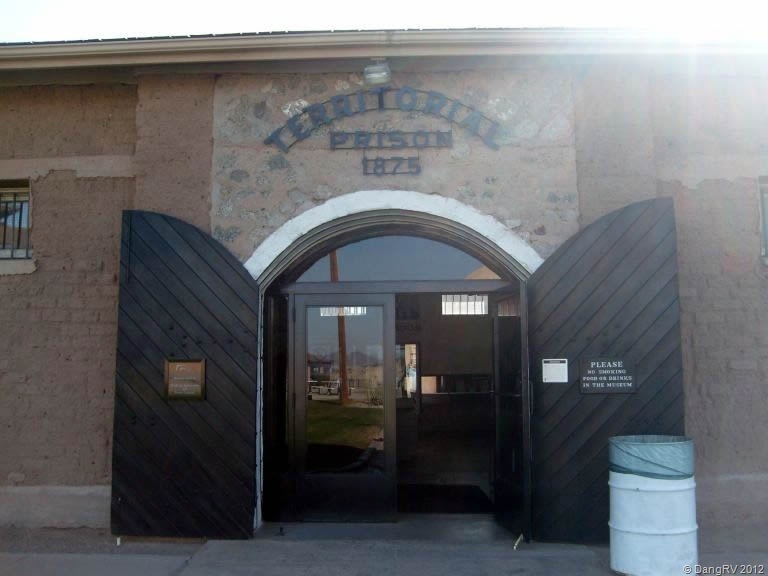 The prison is a fascinating look into the old west and a bit of an eye opener as well. The current cost to tour it is $5 for adults and well worth it. The courtyard provides excellent views of the river and city below. 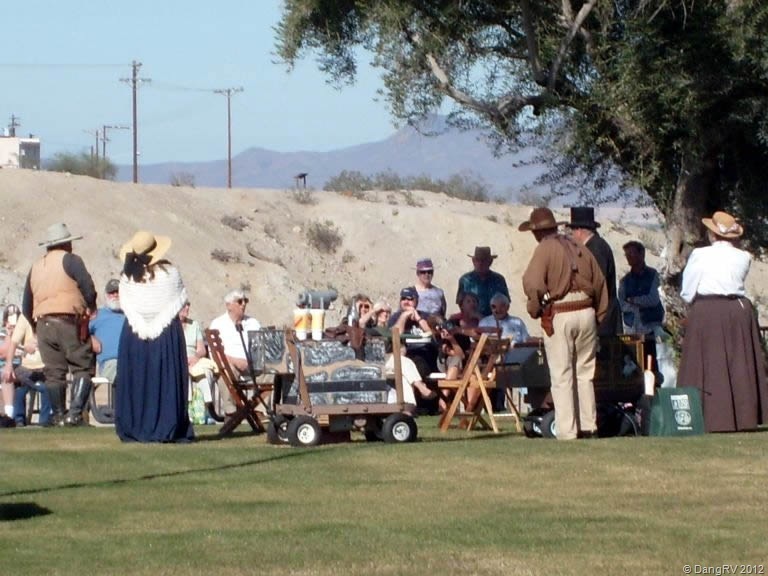 Actors in period costumes put on a shootout for visitors there. Stairs lead up to the platform built on top of the water tank to stop evaporation. 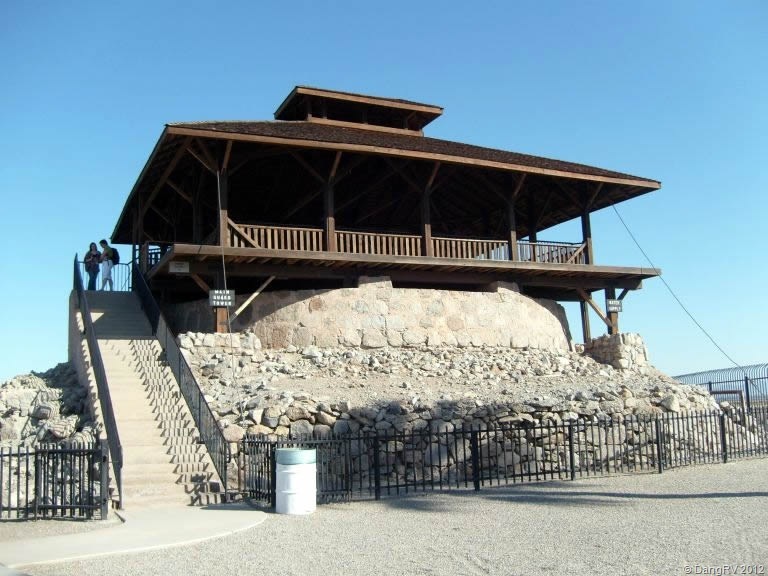 At one time, the platform was walled in to provide sleeping quarters for guards and was also one of the gun posts on the massive adobe wall (now gone) that was once 8 feet wide at the base and 5 feet at the top. From here, much of the inside of the prison could be watched as well as the front gate. Several of the buildings outside the wall are now gone due to age and the new train trestle that was built nearby. There is still plenty there to see. Through the iron front gates is the museum with artifacts of prison life and a glimpse into the lives of the “guests” who stayed there. I was surprised by those imprisoned for adultery but at least they were fair about it, imprisoning both the man and woman. 29 women were sent there for various crimes. One young woman was sent there for blowing her brother’s head off during an argument over her behavior at a local dance. End of discussion! 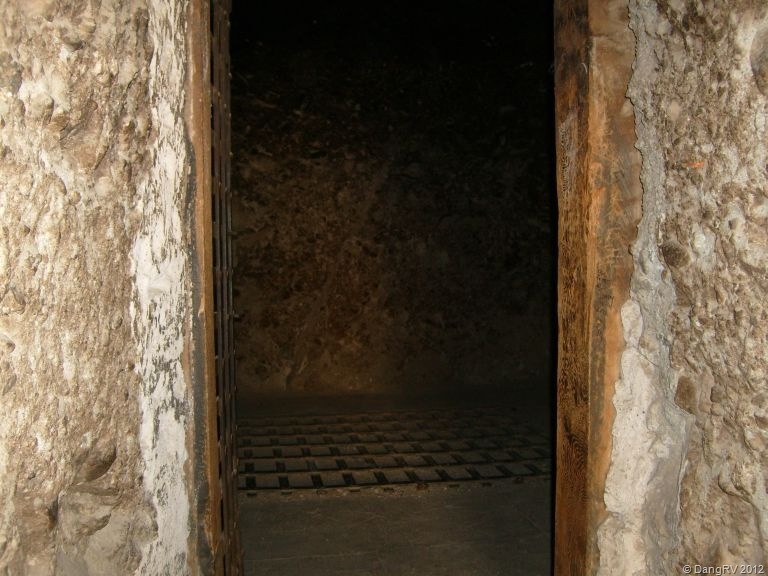 The rest of the 3,069 prisoners who went through there were men. Most learned their lesson the first time and did not return a second time. They referred to the prison as a hellhole despite it actually being one of the more modern and forward thinking prisons of the time with a very good medical facility and numerous trade buildings where they were taught trades they could use to make a living outside (instead of robbing stagecoaches and banks) and make some money while inside. Everything the prison or the warden’s family needed could be made there. 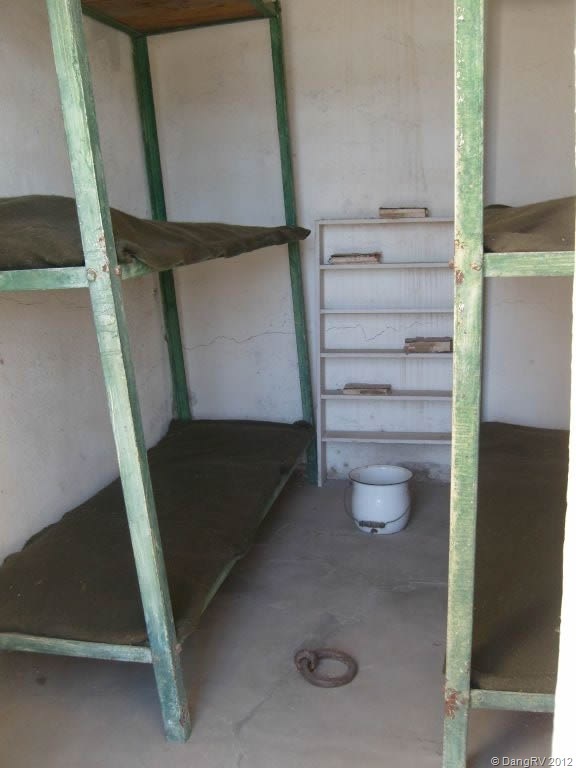 I expect the incredible 118 degree heat in the summer and cramped 8×10 cells with 6 bunks and one piss pot (no toilet) might be why. 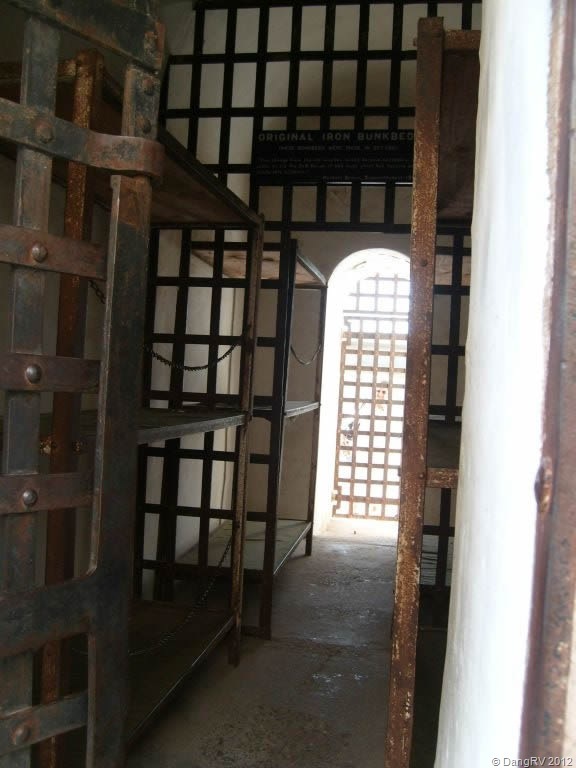 The cells were also open to the cell behind them with just iron bars between them so they were essentially living and sleeping 12 together. The snoring must have been horrible! In the pictures below, the 2nd floor medical center and roof are gone but the iron bars and cells remain. The various wardens each did what they could to both increase security at the prison (there were several escapes) and to better the living conditions for inmates. Electricity was installed and fans to force air through the cell blocks were added long before many homes nearby had them. A library and classes to learn to read, write, or play a musical instrument were provided. Strict discipline was maintained with rules about bathing, shaving, cutting hair, working in one of the trade shops or the adobe brick pit most days, no fighting or gambling, etc. Punishment consisted of the old ball and chain to the leg for several days, being chained to the iron ring in the center of your cell, or going to the “Dark Cell”. 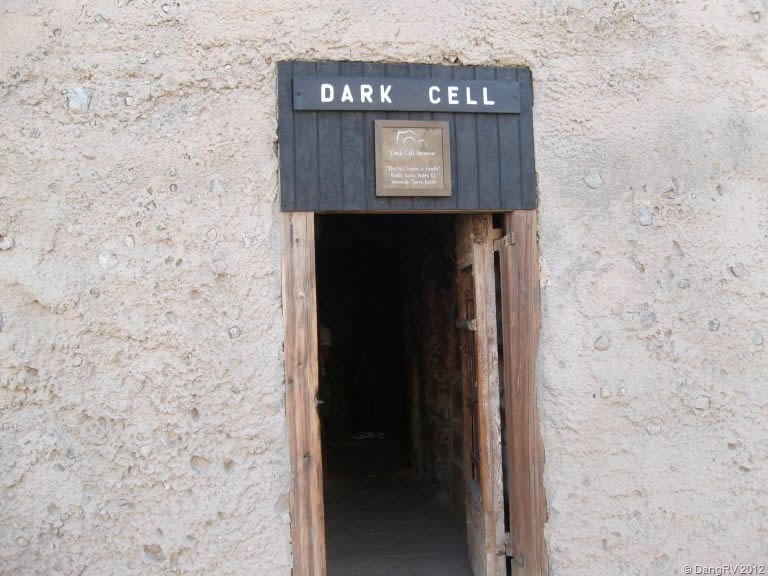 The Dark Cell was an iron cell or cage built in a room dug into the mountain. The only light came from a shaft above it for ventilation. While in there, only bread and water were provided. It was also known as the “Snake Pit” perhaps from a snake finding it’s way into the dark cooler area or it was rumored guards may have dropped a snake down the air shaft. 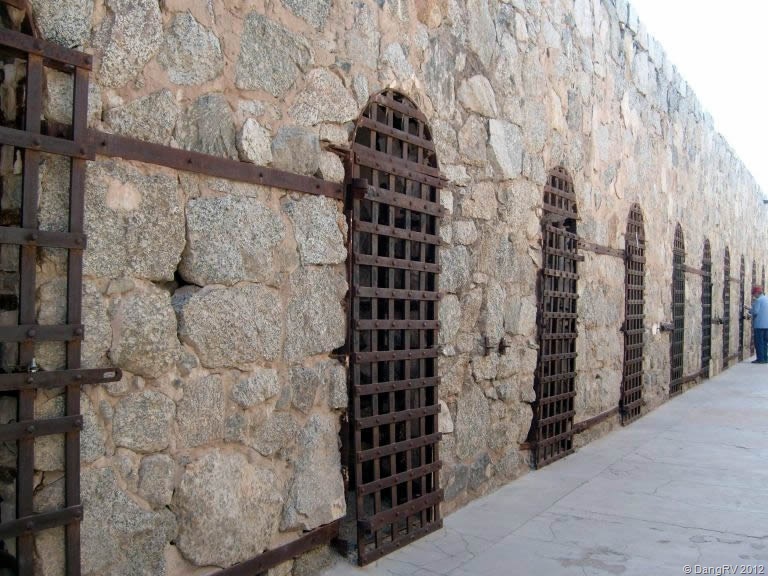 There were some hangings there as well and a Gatling gun was used on inmates trying to break out through the main gate with a knife to the warden’s throat. 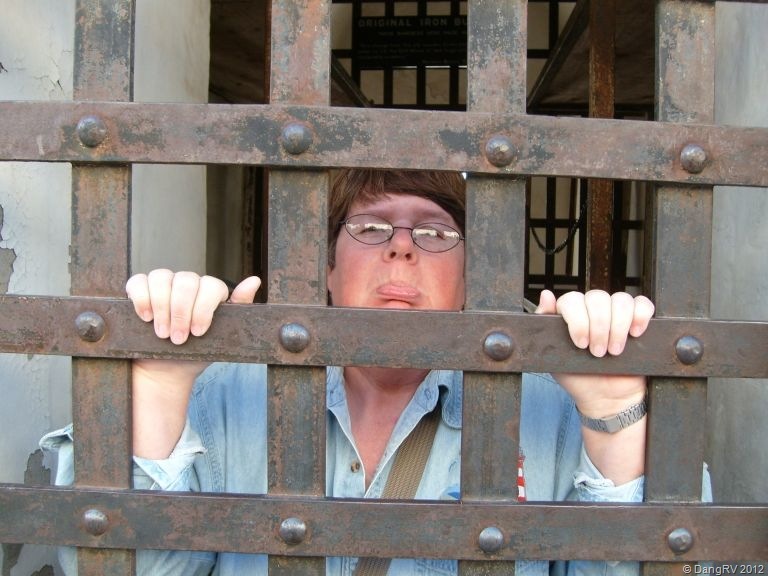 Tuberculosis, a couple snake bites, and other illnesses sent a few more prisoners to the graveyard below the prison. Been past it many times and never stopped. For it’s time this was a very progressive jail. Yah, eventually. You really must check it out when you get here! Well worth it. Glad I went.